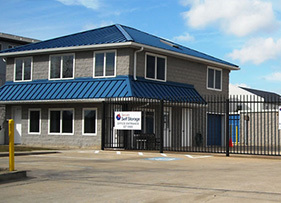 Secure Self Storage in Rehoboth Beach, Delaware, offers convenient, affordable storage solutions to residents and business owners here and in surrounding neighborhoods such as Henlopen Acres and Dewey Beach. We offer both short- and long-term lease options to work around your lifestyle, while our 24/7 security measures keep your items safe. Best of all, Secure Self Storage’s range of unit sizes means you won’t be overcharged for an oversized unit: If all you need to do is store a few items, choose one of our mini-storage lockers. Doing a larger move? We’ve got the right size to fit your stuff. Sign up now with Secure Self Storage and see for yourself just how convenient and affordable storing your belongings can be. Google Rating: 4.6 out of 5 stars based on ‎34 reviews.